Just a few tags that I did playing with my Tim Holtz Blank Mask Sheets, Dies, Distress Inks, and Stamps. I love that you can make your own masks by cutting them out with scissors, die cutting them in a machine (I have a Vagabond), or even just using a hand punch. So much fun. Tim's inks are designed to blend together wonderfully. I just made sure to start with the lighter colors and then kept adding more color until I had the desired effect I was looking for. 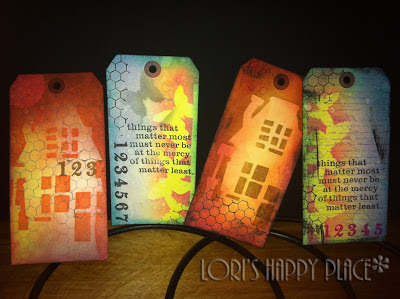 It is a great way to make things look more layered and 3D even though you are only using different colors of ink on a plain manila tag. The masks come in a package with two sheets that you can cut. They also add a third sheet that you use as a home to store all your cut pieces to use on further project. AMAZING!! 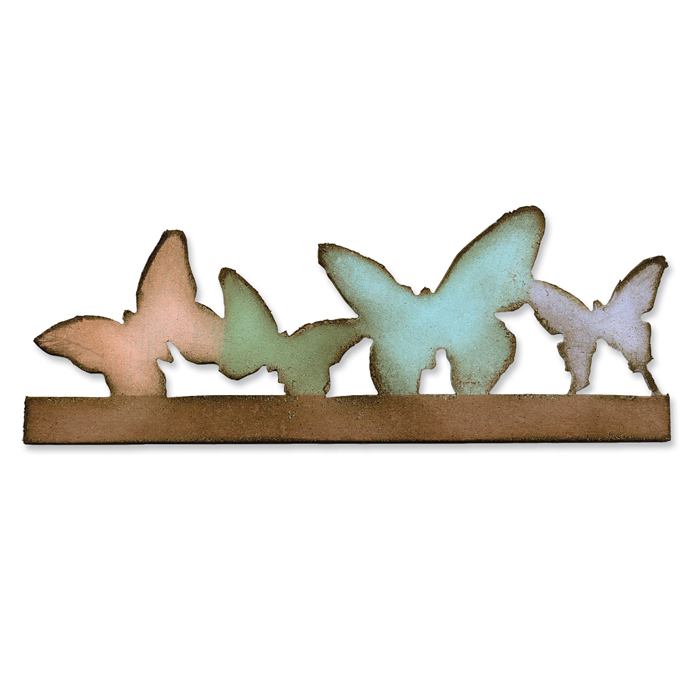 The dies that I was playing with were the Rickety House and Butterflies on the edge. It made for a whole lot of inky fun!!! oh snap! i think i may have some of those. i'll have to look. great tags!! These are aweseome! I love masks! But you already know that!